The Manufacturer's Suggested Retail Price for this club is $49.95. Available in LEFT HAND Mens and Ladies, Boys and Girls Sizes! 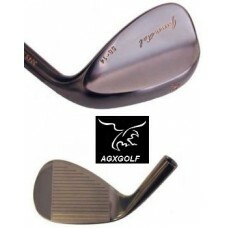 This Lob Wedge is made for putting the ball on the pin!!! AMERICAN GOLF is headquartered in Michigan and we build these fine clubs right here in our Highland Michigan shop! We hope you enjoy playing these fine golf clubs as much as we enjoy crafting them!